Stamping done by Weight & Measuring Deptt. NOTE: Other Models also available with different weighing capacities. Used to determine grade of bitumen. The penetration tests determine consistency of bitumen for the purpose of grading Depth in units 1/10 of millimeter to which a standard needle having a standard weight will penetrate vertically in a duration of five seconds at a temperature of 25 ºC determines penetration for gradation. 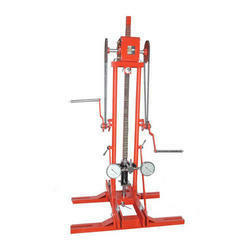 Consists of a vertical pillar mounted on a base provided with leveling screw The head together with dial gauge rod and cone (or needle) slides on a pillar and can be clamped at required height. A rack and pinion and pointer assembly provides adjustment of needle or cone tip to sample. It incorporates a slipping clutch mechanism which make reading of penetration and subsequesnt restting a simple and accurate operation The dial is graduated in 400 1/10th mm sub-divisions, and the red needle pointer against black figures makes for easy reading. Supplied complete with one 50 gram weight, and one 100 gram weight and one needle. Penetrometer Cone : Made of Gunmetal and is fitted with a hardened and ground detachable steel, tip and a stem, Total moving weight is 150 + 0.1 gram. 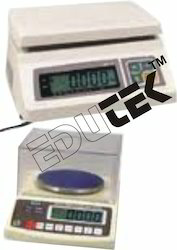 Automatic Standard Penetrometer :Same as above RSEP-180, but supplied with transistorized timer and electro-magnet incorporated in the cluth mechanism to accurately control penetration time to exact five seconds. For determining bitumen percentage in Bituminous paving mixtures. 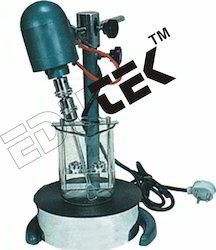 Bitumen Extraction Test Apparatus has a removable, precision machined, aluminium rotor bowl, mounted on a vertical shaft. A filter paper disc is pressed in-between the rotor bowl and cover plate by tightening a knurled nut. The bowl assembly is enclosed in a housing operating model; the rotor bowl is coupled to a motor. The solvent may be introduced during test through a cup on the housing cover. The apparatus is supplied complete with a Pack (50 Circles) of Filter Paper. 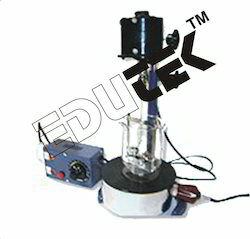 Bitumen Penetration Test Apparatus are used for testing bitumen, tar, cement and soils. A Chosen force is applied over a given area for a known period of time and the depth of penetration or the depression made in the sample is measured in tenths of a millimeter which is expressed as a penetration number. An accurately machined aluminium base with in- set spirit level in these bitumen penetration test apparatus has been designed to facilitate penetration tests to be made over a wide surface area of sample, Adjustable feet are provided in the base for leveling and a head support, mounted on a vertical rod which can be adjusted for head, a rack & pinion and pointer assembly provides for fine adjustments of needle or cone tip to sample incorporated a slipping clutch mechanism which makes reading of penetration and subsequent resetting a simple and accurate operation. Each Penetrometer is supplied with a Plunger and Needle weighing 50g for testing bituminous products, one of each 50gm & 100gm weights, and one of each aluminium sampling containers 55mm dia x 53mm ht & 55mm dia x 35mm ht. 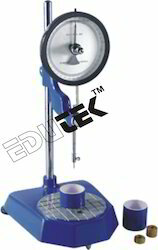 Ring & Ball (Softening Point) test apparatus is used for determination of softening point of bituminous materials. Softening point is that temperature at which the specimen under test becomes soft enough to allow a steel ball of specific dimensions to fall a required distance under test conditions. This mixer has two speed constant mesh gear box driven by an electric motor fully enclosed within the transmission case. The low speed drive automatically comes into action when either the high or intermediate speed is disengaged on light loads, speed changes may be made without switching off. A gear train to provided smooth gear change and also protect the transmission mechanism. Ball bearings are used throughout which, together with all gears, run in a special lubricant requiring no attention for several years. All the mechanism from the beater shaft to the motor is enclosed. Supplied complete stainless steel bowl fitted with handle, beater, hook and heating jacket. Motor rating: Operation: 230 volts, single phase, 50 cycles, A.C. supply. Small Laboratory Jaw Crusher The laboratory crusher is designed to speed up the crushing of aggregates, ores, minerals, coal, coke, chemicals and other similar materials. It is compact and of rugged construction for general laboratory or small pilot plant operation. 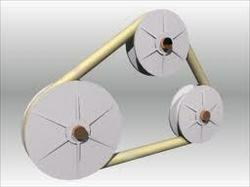 Two jaws of manganese steel are provided in the jaw crusher. The moveable jaw produces two blows for every revolution. Thus reducing over sizing to a minimum. A combination of forward and downward stroked with a rocking action exerts pressure on the coarser material, yet permits the finished material to pass through the jaws. A hopper is provided at the top for feeding materials. The smooth jaws ensure a uniform product and easy cleaning is possible. Jaw size : 100 x150 mm Max. Product discharge size : 5 mm to 15 mm. but Jaw size : 150 X 200 mm Max. Product discharge size : 5 mm to 20 mm. Operation : 440V, 3 ph. 50 Hz. A.C.
Automatic Compactor for Bitumen Mixes fully automatic. Uniform Compaction, Automatic Blow Counter Digital, It eliminates the laborious process of manual compaction and an even degree of compaction is achieved. The drive mechanism lifts the weight of 4.5 kg and drops it through a correct height of 457 mm. NOTE: Modified Automatic Compactor is also available. Used to determine the water in petroleum products or bituminous materials by distilling them with volatile solvent. The equipment comprises electric heater with thermoregulator, glass still, support stand, condenser, receiving trap, clamp. Electrical heating, with a Heater and Energy Regulator, Suitable for operation on 230 V, 50Hz, Single Phase, A.C. supply. Each unit is supplied with bath of heat resistant glass and the following. Used to determine grade of bitumen. The penetration tests determine consistency of bitumen for the purpose of grading. Depth in units 1/10 of millimeter to which a standard needle having a standard weight will penetrate vertically in a duration of five seconds at a temperature of 25°C determines penetration for gradation. It consists of a vertical pillar mounted on a base provided with leveling screws. The head, together with dial plunger rod a cone (or needle) slides on a pillar and can be clamped at any desired height. A rack and pinion and pointer assemble provides fine adjustment of needle or cone tip to sample. It incorporates a clutch mechanism. 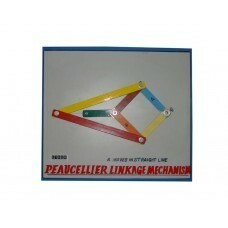 Which makes reading of penetration and subsequent resetting a simple and accurate operation. The dial is graduated in 400 1/10 and the millimeter subdivisions and the needle pointer against figures makes easy reading.Supplied with a bitumen penetration needle, ring weight one each 50 gms. and 100 gms. two sample containers. Penetration cone for empirical estimation of penetration of lubricating grease, petroleum jelly etc. Same as EBTE-31 but the unit is compact with timer to control duration of penetration. 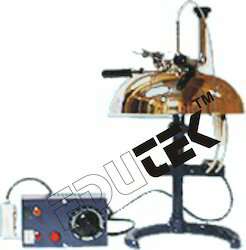 The instrument is provided with lead screw gear arrangement, Leveling screws, Spirit level. The simple apparatus working on the same operation principle of consisting of cylindrical glass jar supporting two metal cones of stainless steel cloth and a metal condenser on top of the jar. Supplied complete with 100 filter papers & wire gauge, Hot Plate. NOTE: Spare Cylindrical glass jar can be supplied at an extra cost. 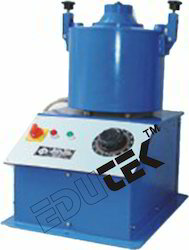 For determining stripping value of bituminous mixes having aggregate size: 1.0mm to 75 micron. A circular tray rotates in a vertical plane at a rate of approximately 100 R.P.M. by an electrical geared motor. 4 bottles of approximately 400 cc are mounted 0 on this circular tray at an angle of 90 . To each other with their mouth towards center of the tray. A time switch is provided. Suitable for operation on 230 V A.C. Single Phase. 4. Perspex plate with three metal prongs. 7. Glass cylinder 25ml x 0.5mlsupplied without mercury. A properly constructed model made of metallic and wooden parts. Cast Aluminium truly machined models. (d) Cone or Step Speed.